SHANGHAI - China Eastern Airlines said on Friday it would sign a memorandum of understanding to join global airline alliance SkyTeam. "What we have signed is a preliminary agreement. And after a year when China Eastern fulfils all the requirements of SkyTeam, we will become its official member," Luo Zhuping, company board secretary, told China Daily. The Shanghai-listed airlines had been the only one of China's top three carriers not to be a member of any global alliance. Analysts said joining the alliance will help the airlines fend off the competition from major rivals and share more resources with other members. Liu Shaoyong, chairman of China Eastern, said earlier this week the company was in talks with all three global alliances, including Star Alliance and Oneworld. Sources with knowledge of the matter told China Daily that all three alliances were lobbying the carrier with favorable conditions. Currently, both Shanghai Airlines and Air China belong to Star Alliance, and the two carriers share a lot of resources in term of customers, flight transition and air ticket booking on the platform. Guangzhou-based China Southern Airlines is member of SkyTeam. "The airlines' choice is easy to understand," said Yao Jun, an aviation analyst at China Merchants Securities. "As former chairman of China Southern Airlines, Liu would like to join forces with China Southern to compete against the nation's most profitable airlines, flag carrier Air China Ltd," Yao said. This also marks a major victory for SkyTeam which has sought to expand its membership in the Asia-Pacific region, one of the world's fastest growing aviation markets. Leo M. Van Wijk, president of SkyTeam, said China Eastern will help SkyTeam boost its market share in China and the alliance's flights will grow 10 percent, with the addition of another 25 destinations. 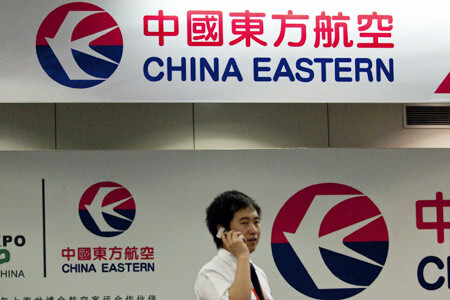 Liu likened China Eastern's joining of the alliance to an engagement ceremony. "China Eastern is 22 years old, and she is mature and marriageable," said Liu. According to Gao Shiliang, an analyst at Central China Securities, China Eastern's choice will shake up the domestic civil aviation market. "As a subsidiary of China Eastern, Shanghai Airlines' cooperation with Air China may probably come to an end after its parent company chooses SkyTeam," Gao said. However, Ma Xulun, current chairman of Shanghai Airlines and vice-president of China Eastern, said Shanghai Airlines cherished cooperation with Star Alliance no matter what the new situation brings. Currently, the three global alliances dominate 80 percent of the global civil flight market, and the top 20 carriers in terms of revenue in the world are all members of one of the three alliances. A small stream flows below a thin layer of ice in a village 90 km from the center of Beijing, Cheng Enhua has already started to hoe the field again in his favorite coarse blue clothes and straw hat. This week, attention continued to focus on a former banker's bribery case as the verdict was announced by the court. The American magazine "Good Housekeeping" celebrated its 125th anniversary in New York City. Most bosses are tough, bossy and with a bad attitude towards their employees.Why don't they care about their employees?